“Brendan Angelides, aka “Eskmo” , is a San Francisco based producer & live performer. He has been producing and performing live electronic music since 1999 and his live sets are currently based around Ableton Live utilizing various midi controllers and FX running with on the spot warping, queing and key work. He has covered numerous styles throughout the years and it has grown to a fusion of thick, floor-creaking bass layered with rich, oozing melodies and syncopated rhythms. Jan 2009 saw the release of “ESKMO: Hypercolor”, shortly after which he was approached by Warp to do a remix off of Bibio’s “Ambivalence Avenue” . His first single for the notorious Planet Mu entitled “Let Them Sing”, is also set to come out Nov 2009.
across the US. 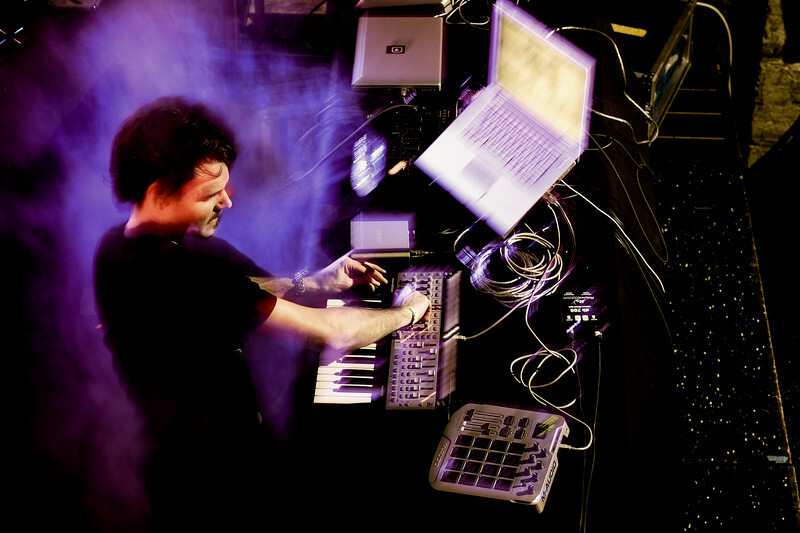 He has shared the stage with a wide range of notable acts such as Amon Tobin, STS9, Flying Lotus, The Glitch Mob, Si Begg, Tipper and many others.